Who says geeks can't be sporty? 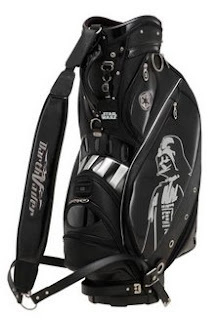 If you're a certified Star Wars fan and you have a budding Tiger Woods in you, you might just make your golf career with this Star Wars Themed Golf Bag from Japan. Now all you need is an R2D2 caddy and you're all set.